We all like a holiday, but we all LOVE a holiday if it means treating our taste buds to good food while we’re away. From pillowy soft sugared-doughnuts in New Orleans to chocolate coated delights in Australia, the world does not disappoint when it comes to sweet treats. If the Great British Bake Off hasn’t quite satisfied your sweet tooth, don’t panic, we’ve rounded up some of the best bakes the globe has to offer – bon appétit! Forget the eggs benedict and avocado on toast, these delights take centre stage on our breakfast table here at dealchecker, much like in New Orleans. Served with a healthy dusting of icing sugar, these square-style doughnuts are best eaten fresh and hot in the morning. 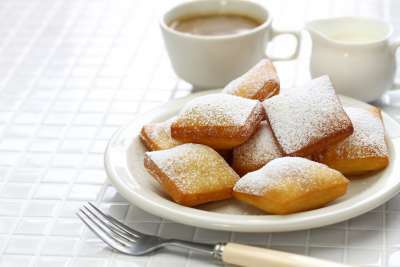 The popularity of Beignets led to them being named the official state doughnut of Louisiana in 1986, and we can see why! 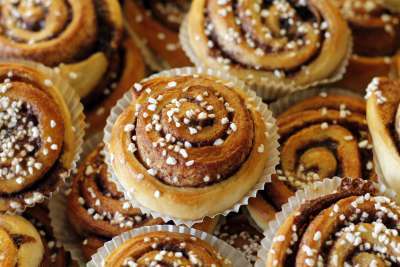 Deliciously moreish and sweet, these cinnamon buns are an important feature of a ‘fika’ – a Swedish coffee break. Cinnamon buns have been around since the First World War but only gained popularity in the 1950s. During the war, the ingredients (flour, sugar, egg, butter, sugar cinnamon and cardamom) were expensive and difficult to come by. We do of course have cinnamon rolls in the UK, but nothing beats a proper Swedish cinnamon bun fresh from the oven - yum! 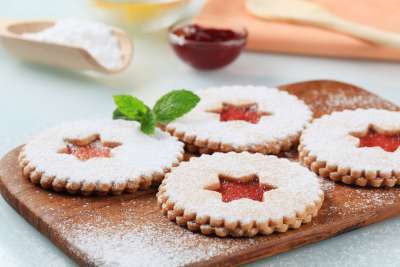 Founded in Austria’s third largest city, Linz, Linzer Cookies are a popular sweet treat - especially at Christmas time. This sandwich cookie is jam-filled, and the top cookie has a small hole cut out in its centre to reveal the underlying tasty jam. While the traditional cut out is circular, all sorts of shapes, such as hearts and stars, are also popular and make for a very aesthetically pleasing cookie! 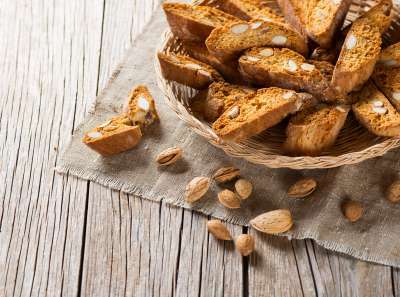 A Tuscan classic – Biscotti (also called cantucci) are twice baked crunchy almond biscuits. You may also find this scrummy Italian bake studded with different varieties of nuts or brightened up by colourful pieces of dried fruit. They are delicious dipped into a sweet wine glass of Vin Santo or enjoyed at the end of a meal with a coffee. 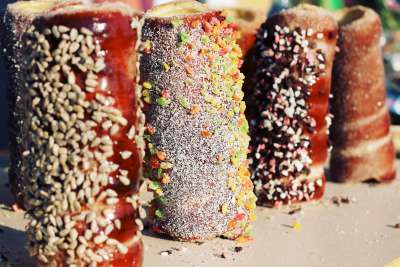 Hungarian kürtőskalács, also known as chimney cakes thanks to their chimney-like appearance, are made from a sweet, yeast dough. Coated with cinnamon, cocoa powder and other sweet toppings, this cylindrical pastry is a must-try if you're feeling peckish in Hungary. Previously only made as a festive treat, chimney cakes are now part of everyday consumption and are predominantly found in Hungary and Hungarian-speaking regions of Romania. Buttery pastry, rich custard and a dusting of cinnamon? Yes please! Pastéis de nata egg tarts are eaten across Portugal as a snack and often enjoyed alongside a cup of coffee. Originally from the area of Belem near Lisbon, a pastéis de nata is best eaten warm on the day they’re made. 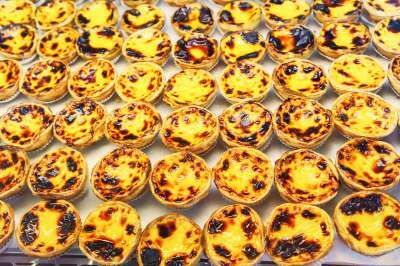 If you're planning to visit Lisbon, we recommend heading to the famous Pastéis de Belem to sample one (or two) of these delicious tarts. A lamington is made from a vanilla sponge cake, coated in a chocolate sauce and then rolled in desiccated coconut – heavenly! 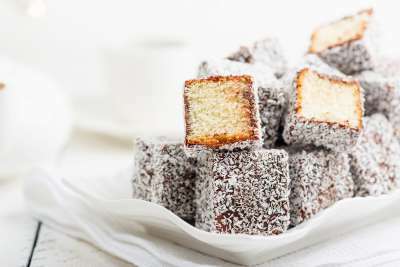 Traditionally made on Australia day but also enjoyed throughout the year, lamingtons are great for parties and bake sales. They are found all over Australia in bakeries, supermarkets and increasingly served in miniature versions in local coffee shops. Should the cream or the jam be spread first? We couldn’t possibly write a top 10 without mentioning one of our own bakes! Said to originate from Scotland in the early 1500s, scones are still eaten across the UK today and commonly enjoyed as cream tea. 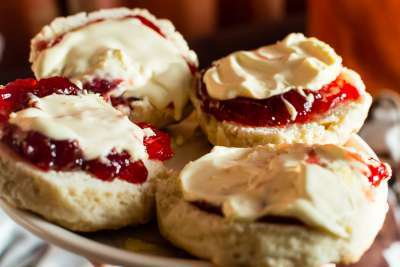 While those in Devon typically spread the clotted cream first followed by jam, the Cornish tradition is to spread jam first followed by cream. Perhaps the queen knows best, and in this case she opts for the Cornish method! What on earth is a mooncake I hear you ask. Well, despite the name, a mooncake is in fact a pastry-based round bake with a dense filling – you could argue it's like a mini pie. Fillings vary from sweet red bean pastes and mixed nuts, to chicken and duck. 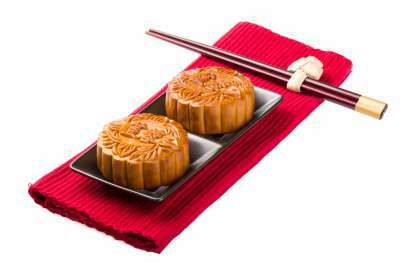 Mooncakes are the special food of the Mid-Autumn Festival when the moon is at its roundest and brightest. People sacrifice mooncakes as an offering and eat them for celebration. Perhaps the prettiest of all the bakes, these small sweets are available in a range of colours and flavours. 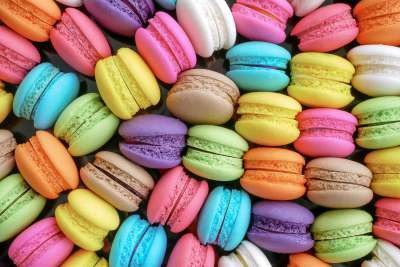 Soft and delicately flavoured, macarons are elegant sandwiches made with meringue, almond flour and buttercream filling. Sitting pretty in the window of almost every pâtisserie in Paris, macarons are one of the most famous and treasured French desserts and it's no surprise why!